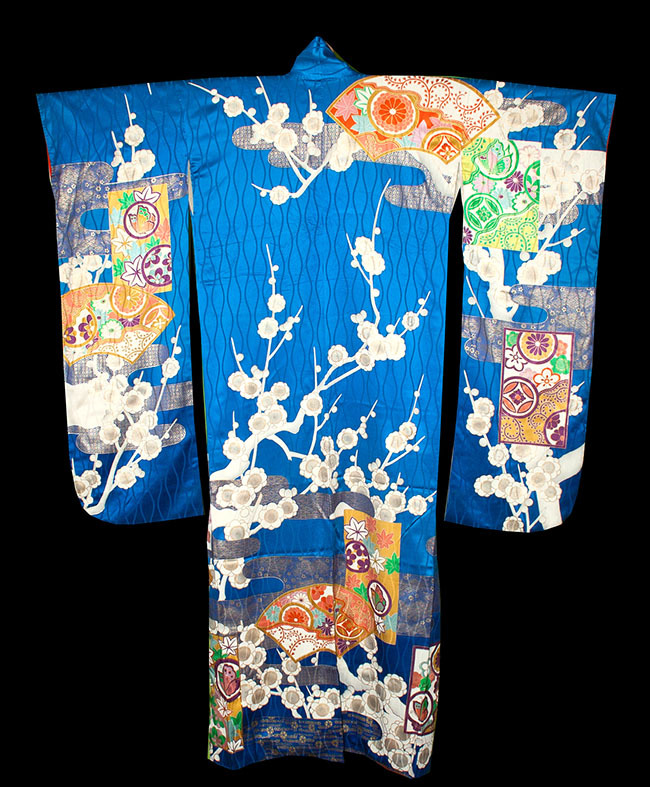 Kimoyes item: 22155 - Stunning blue silk kimono with all over woven pattern. 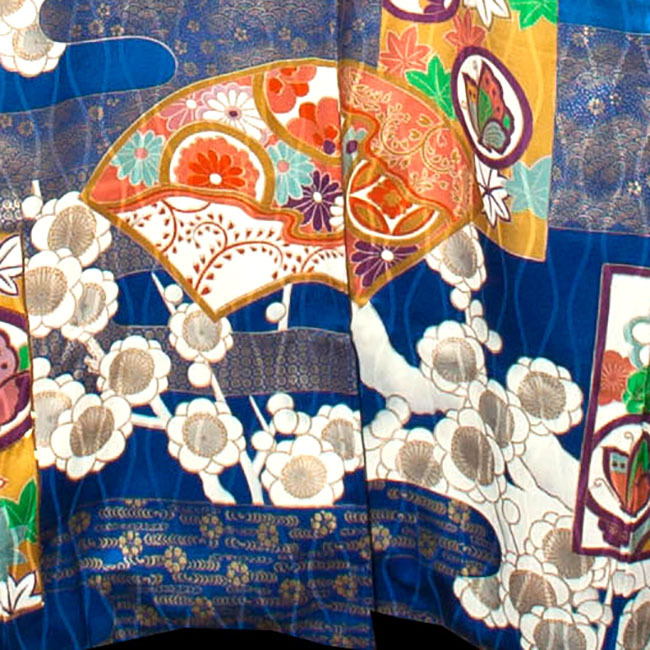 Stunning blue silk kimono with all over woven pattern. Besides the gold couching, there are lots of metallic gold highlights. Cream silk lining with orange edging. 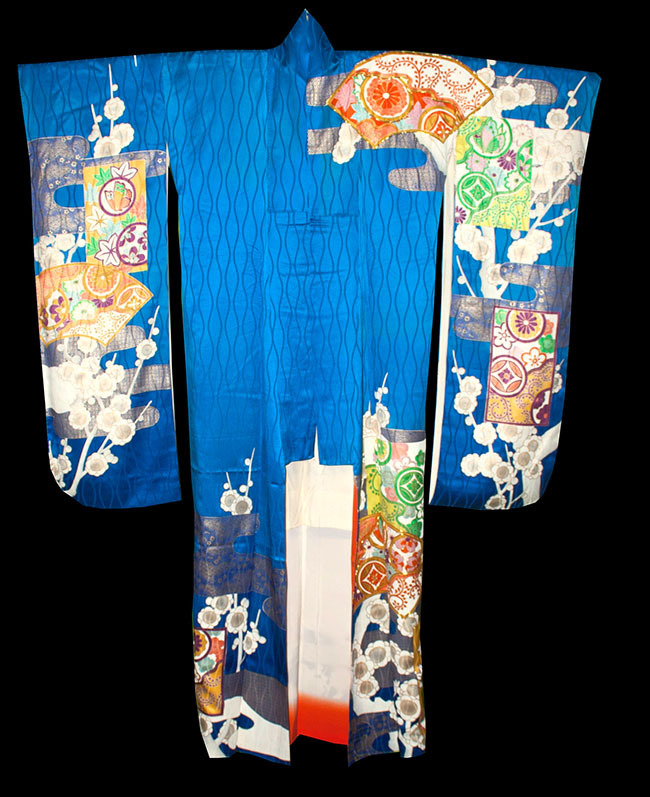 Lovely to wear or display.